An infamous London Gore Metal act. 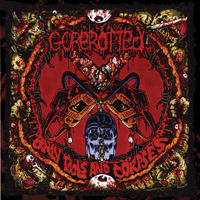 Signing to the Metal Blade label GOREROTTED conjured up a sophomore album 'Only Tools And Corpses' for October 2003 release. The band would hit the road in Europe the following month, supporting PUNGENT STENCH. Back out on tour in April of 2004 the band partnered with SANATORIUM, AMPUTATED and Mexican act DISGORGE for a short burst of UK dates. This activity would be backed up by the filming of an extreme, zombie orientated, promotional video for the 'Only Tools And Corpses' album's title track directed by Adam Powell. 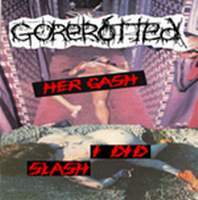 GOREROTTED announced they had lost the services of singer and founder member Mr. Gore in August. The band had just previously performed at the 'Kaltenbach Open Air' festival in Austria minus Mr. Gore, the singer detained in the UK due to personal reasons. Touring across Europe was maintained, the group hooking up with VOMITORY for gigs in August, including the German festivals 'Party.San Open Air' and 'Summer Breeze', and with INHUME during December. 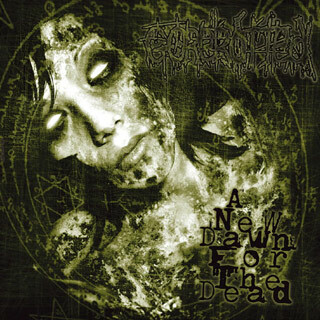 GOREROTTED entered Aexxys-Art Studio in Munich, Germany during February 2005 to begin recording third album 'A New Dawn For The Dead'. September European dates had GOREROTTED partnered with Poland's DECAPITATED and Dutch Deathsters DETONATION. GOREROTTED supported UK tours for OBITUARY in June 2006, alongside GOJIRA, and then hooked up with CRYPTOPSY, SHE SAID DESTROY and SYLOSIS in August. This trek included a one off support to CELTIC FROST in London. The beginning of 2007 has already seen Gorerotted hit Spain, Italy, France, Germany and Switzerland with Pungent Stench for ‘A Splatterday Night Part Two’ tour. For the rest of 2007 Gorerotted will be locked up in the studio writing and recording the follow up to ‘A New Dawn For The Dead’. The band is only being allowed out on parole to play some great festivals and one off shows.